Think about the sound of a metronome. It's always steady and often slow. And now its name is inspiring a different way of treating cancer in cats. 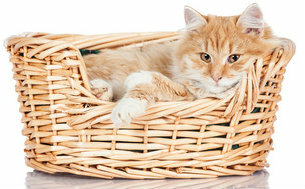 Conventional treatment using chemotherapy for cancer in cats calls for giving the drug at the maximally tolerated dose. But patients need a rest period between treatments to allow healthy cells to repair and regenerate and to minimize side effects. Cancer cells never rest, though. And during the break in treatment, damaged tumor blood vessels can recover along with healthy cells, lessening the benefit of the treatment. Like the metronome it's named for, metronomic chemotherapy takes a steady approach to giving smaller doses of oral chemo drugs at regular intervals at home. For several years, veterinary oncologists have been using the technique to treat cats with lymphoma. But now they're finding that other kinds of cancer respond to this approach, too. Veterinary oncologist Susan Ettinger uses it when the cancer has metastasized in an attempt to slow progression of the disease. She also uses it for cats whose cancer reoccurs or progresses on the recommended drugs. And she's found it helps to delay the recurrence of incompletely removed soft tissue sarcoma. "Traditionally, a second surgery or radiation is recommended to prevent tumor regrowth," she says, "but this gives us another option." Speaking at a 2008 continuing education conference for vets, veterinary oncologist Alice Villalobos called metronomic chemotherapy a "kinder, gentler way to help fragile and geriatric cancer patients." But to me, it sounds like a kinder, gentler way to help all cats. 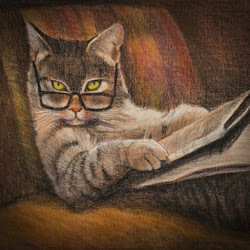 If you have a cancer cat -- and I hope you never do -- it would certainly be worth discussing with your vet. 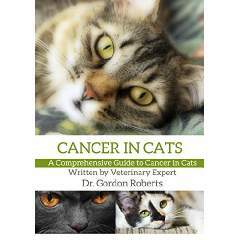 have a cat with cancer.